Is your sewing group or guild planning a special get-together this Summer? 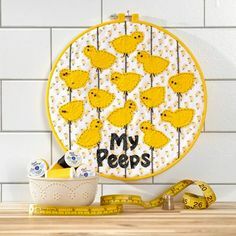 Even if you don’t belong to a formal group, this is a great time of year to gather your friends for a Summer Sewing Soiree! Have you ever sewn outside? It’s a blast and this could be a deck or patio party. 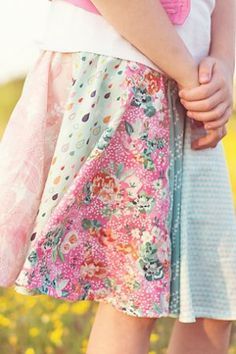 Your get-together may involve machine sewing, hand sewing or a sharing session. Ask your friends to bring things they’ve made along with their favorite hints, tips or a technique they’re willing to demonstrate. Anything that inspires all of you to sew more and enjoy it more is the goal! 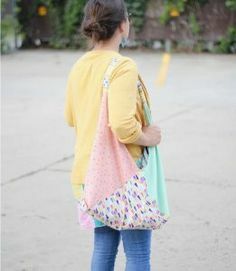 It’s always a bonus when you go home with a favor and I loved the free ‘I’m Sew Glad We Are Friends” printable designed by Courtney of the Sweet C’s blog. Courtney filled small Mason Jars with notions and threads and attached her darling cards to each one. She used vintage style clothes pegs and thread spools as holders for fun yarns and embroidery threads and added a tape measure and other notions. I’d add a basic color of Coats and Clark thread to each jar, because who doesn’t need more thread, right? Each jar could be different and contain a sew encouraging personalized message for your Summer Sewing Soiree attendees! Click here for Courtney’s sweet, printable card. 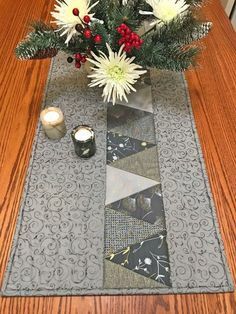 For your table centerpiece, create a Tape Measure Table Runner using this cool tutorial I found on the Country Living Magazine blog. Head for the Hardware Store (yes, I said Hardware) and purchase a 14in. x 8 ft. canvas drop cloth. (Makes sense now, right?) You’ll hem your drop cloth, add the measuring marks in black, and stencil the numbers. 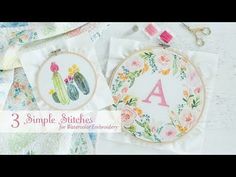 Stenciling is totally fun, pretty easy to do and kind of addictive, too! I do suggest that you lightly trace the numbers in pencil, and proof your layout before dabbing paint to make your numbers permanent. It’s a quick way to make sure those numbers are where you want them to be! Click here for the tutorial. 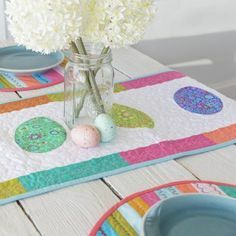 Once the table and favors are ready, you can plan the games, treats and activities for your Summer Sewing Soiree! Invite attendees to bring a fat quarter of fabric to share. String a piece of thin rope or cord across your wall or ceiling and, when they arrive, have each sewist tie a corner of their fat quarter to the cord to create a sew-fab banner. 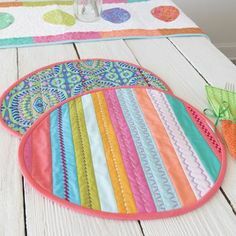 It will be colorful decor and at the end of the party, each guest can choose a fat quarter to take home! For just a couple of dollars, you can download and print these adorable Bingo Cards. 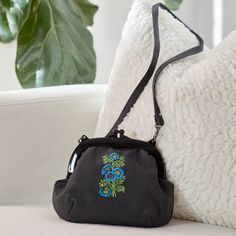 Images include notions, applique, ric-rac, buttons, and more. 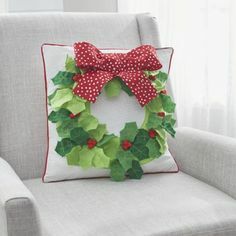 This is simple, sew-easy fun that everyone can enjoy. Use buttons or bright felt pens for markers and be sure to pick up a few notions or fat quarters to use as prizes! Click here to buy and download Becky’s Sewing Bingo Cards from the Patchwork Posse blog. Create signs on your computer, print them on card stock and tape them to dowel pieces. Add boas, funny hats, big paper flowers and mustaches to the “booth” and let your guests get sew silly. 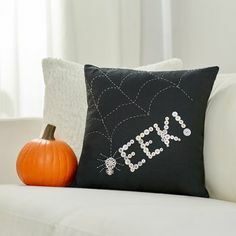 Signs could read Sewing is My Super-Power, Sew Together, Sewing Now – Housework Whenever or any other of your fave phrases. On to the important stuff – cookies!! Brittany from One Charming Party has instructions for the sweetest, sew cute cookies you’ve ever seen. Made from purchased cookies or dough, they’re super easy. Click here to learn how to create her sewing-themed cookies. This is just a start – but you’ve got the idea now, right? Okay, then . . . off you go! 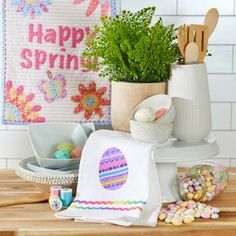 Gather your sewing buddies, think up more fun, quick and easy ideas and plan to make your Summer Sewing Soiree sew successful. I bet it becomes an annual sew-lebration!